To work well you must rest well. 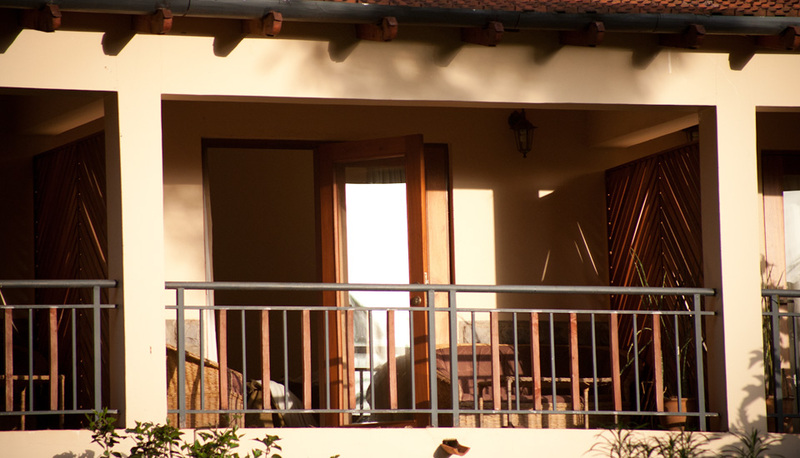 Our comfortable rooms and quaint gardens offer respite to both body and soul. Our first priority is to provide a space for our guests to rest and be refreshed. 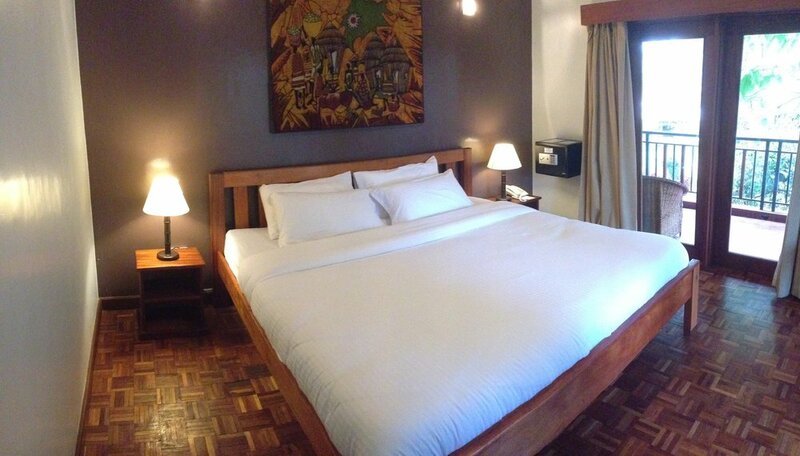 You will find that our rooms are clean, and furnished with all the basic requirements for a restful night’s sleep. We also offer a variety of rooms to accommodate your budget. The new wing, completed in 2010, contains 8 self-contained rooms, each with their own private balcony or porch overlooking the property. We also have 14 rooms in our original building, which include family rooms (with an en suite bathroom), double rooms (with an en suite bathroom), and private rooms with a shared bathroom and shower facility. We offer a 10% discount to all our guests who stay with us for 5 nights or longer. Our peaceful garden area is often one of the highlights for our guests. When we bought the property in the 60’s, it was a hardly-tamed jungle on the outskirts of the city. Today, the old trees still stand, and several have swings hanging from them for the children. The lawn space is reminiscent of an old English country garden, with lavender and daisies. Our lawn is a popular spot for local wedding parties to do their photo sessions; on Saturday afternoons in the warm season, it’s common to see a bride in her billowing white dress posing beside the jacarandas. Our property is home to a wide variety of birds. The Hadada Ibis is the most common (and most noisy); other regular guests are the African Pied Wagtail, Weavers, and Olive Thrush. Hang on to your tea time snacks – these birds are on the lookout for leftovers. Over the years we have tidied up our jungle. But we’ve kept the open spaces wide, the trees tall, and the lawn is the most relaxing space we know of in the whole city.